At Heartland Counseling Center we strongly believe in the value of a quality education and giving back to the counseling community. As Counselors, we place great value on our own education and continuing professional development. We want to help other future counselors who intend to do the same. We are proud to give back to aspiring counselors through the HCC Counseling Scholarship! This annual counseling scholarship is awarded to one student based on merit. Mailing address with your application submission. 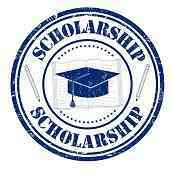 The counseling scholarship recipient will receive the scholarship award within 30 days of the deadline. By participating, you are giving your consent for us to contact you via mail, email and/or phone. In addition, if you are the winner, you are giving us your express consent to use your name, college or college identification and your essay on this site and for any other promotional purposes. If you want us to use your photo, please send that in with your submission. *For a list of past winners, scroll to the bottom of this page. This counseling scholarship is available to all counseling students who are currently admitted to and enrolled to attend/attending a Master’s Level Counseling degree program in Community Counseling at a Missouri college or university. Please write an essay on the question outlined below and provide us with proof of your current attendance at the college or university (for example, by including your transcripts). Your response should be between 1,500 to 2,500 words. Your full name, address, and contact details including your phone number and email address. A statement of your current academic status, as well as evidence that you are currently attending a college or university as described above. You may submit as evidence your most current undergraduate or graduate school transcript. You give us express consent to confirm your admission and attendance by contacting the college or university. Your essay as a Word document attachment. Essays in any other form will not be accepted. 1. Research the subject thoroughly. 2. Be original. Do not simply regurgitate what you have read from others. Do not plagiarize. It is grounds for immediate disqualification. 3. Address the topic from both a personal and professional perspective. The essay will be judged on the quality of the writing and its persuasiveness. We will judge it objectively and without regard to a “right” or “wrong” position. Who will be our 2015 Winner? Link to your winning Essay coming soon!